Newly Renovated Modern Designed 4 bedroom 4.5 bath home with over 3000sqft situated on almost an acre+/- lot. This is a wide open split bedroom plan with vaulted ceilings. 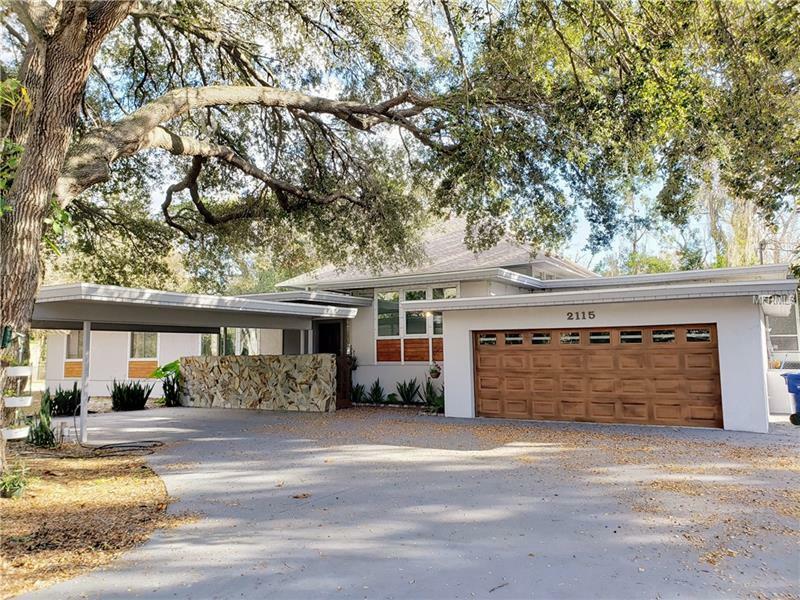 This Frank Lloyd Wright inspired designed home has a open Living area with a stone fireplace, opens to patio dining space and enclosed screen pool. Perfect for entertaining with the combination kitchen & great room with a wood burning fireplace. Large Kitchen with custom cabinets, new high-end granite countertops, backsplash, and island with presentation cooktop. Over sized Master Bedroom overlooks Pool area and natural surroundings. Home Office. All bedrooms have full private bathrooms. French doors leading to private family / TV room. Outside Garden Patio Space off main living area. Extra storage in basement under master bedroom. Large parking pads could allow for RV or boat/trailer parking. A great home with good value for the right person or family. New Roof Installed 2017, All New Kitchen Aid Appliance 2017, Modern LED Lighting 2017, Custom Interior Doors 2017, and Outdoor Kitchen 2017. Relax in the master suite that has a private deck overlooking the pool area. Low Flood Insurance Elevation Certificate Available.